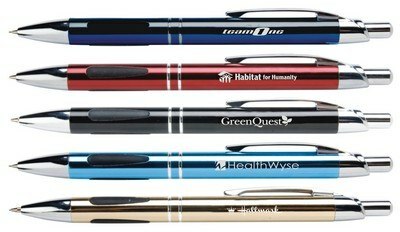 The Vienna Mechanical Pencil features a metallic color design and comfort grip barrel for writing ease. 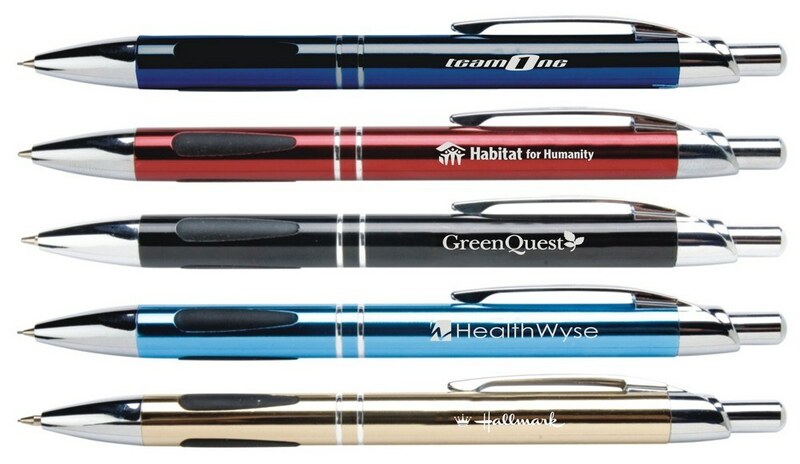 Simple and effective, use this promotional pencil to help "click" with customers at your next event! Containing 0.7mm smooth-writing lead, the classic push-action retractable Vienna Mechanical Pencil is beautifully styled with a raised rubber grip for writing ease, striking silver accents and matching silver engraving. Constructed of metal, the barrel is offered in five eye-catching colors to meet your needs.